Are you satisfied with your daily life? Do you run more on empty than full? Do you always feel like there is more out there for you? This book will take you deeper into your heart’s desire for a real relationship with God, a powerful relationship that will transform your whole life! Susie Hobson reminds us that the love we all long for begins and ends with a life that is surrendered to Jesus. 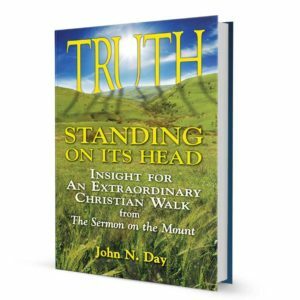 From her real experience she offers practical application of communing with God through His Word to inspire and encourage a closer walk, resulting in empowerment for faithful living. 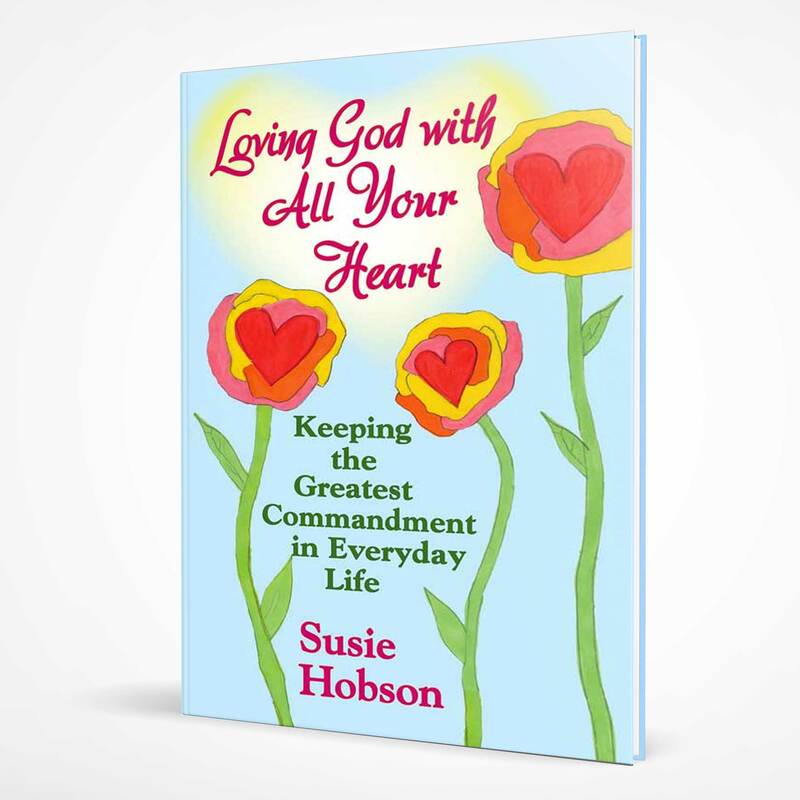 Susie gives a clear path to the fulfillment of the greatest desire of man’s heart—God’s unfailing love as the foundation for wisdom and serving God in our homes and community. This book should fill a real need among families who long for a Biblical order in the home. The author of Loving God with All Your Heart was inspired to write her first book by a verse in Matthew—a passage that is called the Greatest Commandment. The Montgomery resident said reading the verse in 2002, and later again on many other occasions, made her realize that she did not have that kind of relation ship with the Lord, but wanted it. And the Lord wants it with each of us as well, Hobson said. 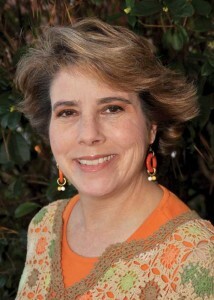 Her desire to spread that message led her to write the book. California-based Nordskog Publishing has completed a first printing of 10,000 copies. The 120-page book is now available on Amazon.com, or by request at your favorite local book store, Hobson said, adding that the process of authoring her first book began with the verse in Matthew. The mother of two said that commitment resulted in the writing of the book with the goal of inspiring others to experience God more deeply. Her research confirmed the longing in others to live closer to their Creator. Susie is married to Rich Hobson, who works for Roy Moore’s Foundation for Moral Law. 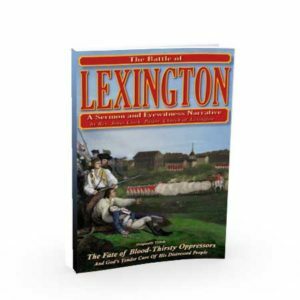 The Hobsons’ daughter, Amelia, designed the colorful cover of the hardback book that sells for $15.95. The University of Alabama graduate in special education and rehabilitation counseling shared more about her book and walk with God. Q: What is the thrust of the book? A: The book offers a great deal of encouragement to make life changes to how you approach a relationship with God. Whether it’s a good day or a bad day, you’ve made that commitment to that relationship. And you will make time to read the Bible and pray daily despite what is going on that day. A plan of salvation is also in the book in case a non-believer picks up the book. My testimony also is in the book. God changed my life completely. Q: What are the benefits of that kind of relationship with God? A: The greatest benefit to me is I have found God to be loveable, to be the best companion, and a present help in my life no matter what I may be dealing with that day. I find the relationship to be as real and deep as I’m willing to go with it. Q: How do you describe God and the Bible in the book? A: The promises of the Bible are real and true and are working out in life all the time. God is very willing to answer prayer and be active in my life in any way I ask him to be. Q: How did you get the book published? A: Someone with the publisher called the foundation wanting Judge Moore to review a book. We sent them my text and they agreed to publish it. They also approved of our daughter Amelia’s cover for the book. Q: What has the reaction been to the book? A: It’s been very positive. Several ladies have said they are using it for Bible studies. Q: When did the book hit the stores? A: The book was released June 28 in St. Louis. We had a book signing at a huge Christian publishers expo. Susie Hobson has a B.A. in Special Education, M.S. in Rehabilitation Counseling from The University of Alabama, and carried a deaf / hearing-impaired and blind / vision-impaired caseload for sixteen years. She retired for more time with family and to write as God has called her. She and her husband Rich have two daughters, Whitney and Amelia, live in Montgomery, Alabama, and attend Lakeview Baptist Church. This is the story that the author Susie Hobson of this book is trying to tell us. We need to keep Him in our heart and lives every day. In this book the stories would be great to read each time we read our Bible as it tells us things that are great in our lives and the way we should serve God. Susie did a great job with this book and it is so pretty that you will want it set out where anyone that comes into your home will pick it up and read a little in it. We all will be better for it. Susie Hobson’s heart for teaching others about God is openly seen in the pages of this well-written book. For those seeking a more settled life in Christ, one of order and reason, this is a book for you. This is an excellent book for husbands and wives to read together; it will bring them together as they strive toward a life of holiness and order in their home. The author urges through biblical standards to draw close to the Lord and to commune daily with him. I was eager to get this book for personal reading, and as always, I am more than satisfied with it. I have yet to read a book published by this company that does not clearly depict a solid Christian faith. This one is excellent. I highly recommend it.